Three locations. Three food trucks. FREE food. Several months ago, FirstBank launched a Food Truck Friday customer appreciation program in Denver. The response we received was AMAZING. Thanks to several of you, who asked us to do something similar in the Phoenix-metro area, we’re expanding the program to show our AZ customers some love. 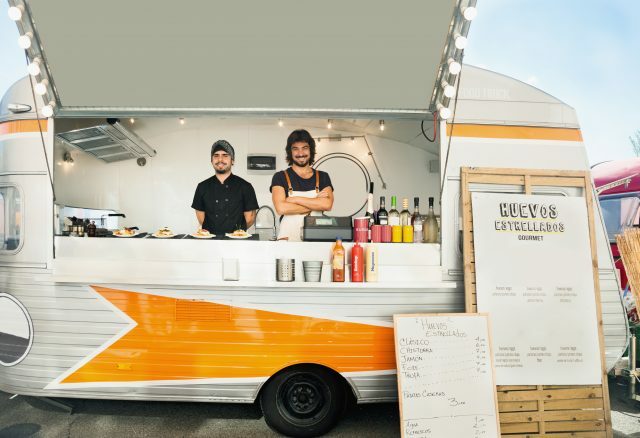 Every Friday, starting February 10 through February 24 – from 11:30 a.m. to 1:30 p.m. – the below FirstBank branch locations will be hosting award-winning food trucks, dishing out FREE lunch for customers. Participating FirstBank locations will remain the same each week, but the trucks and cuisine will change every Friday. It’s just our way of saying “thank you” for banking with us. One menu item and drink per customer. Each customer is expected to present their FirstBank debit or credit card and a photo ID. If you’re a customer and don’t have a FirstBank debit or credit card, please ask for a managing officer. They will provide a signed card/note to redeem your free lunch. Doesn’t really cover east mesa for me as there are a lot of elderly over here around Gilbert and Baseline. This is SO NICE OF YOU!!!! I already loved you guys but this is amazing. I can’t wait till this Friday! Wow, free lunch, how awesome! Who does that? Only a company who appreciates there customers. Thank you so much! Looking forward to this tomorrow!